Ambidexterity means that you are equally adept in the use of both left and right appendages (such as the hands). It is one of the most famous varieties of cross-dominance. People that are naturally ambidextrous are uncommon, with only one out of one hundred people being naturally ambidextrous. What does that mean to us writers…and I’m not talking about what hand you write with. 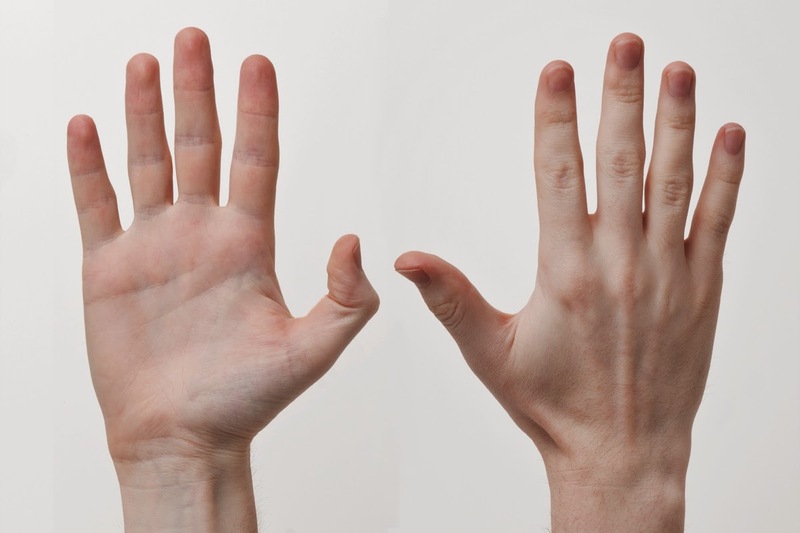 First, how is it determined whether your right-handed, left-handed, or both? One common theory is the division of labor in the hemispheres of the brain. Since speaking and handiwork require fine motor skills, the presumption is that it would be more efficient to have one brain hemisphere do both, rather than having it divided up. Since in most people the left side of the brain controls speaking, right-handedness would naturally predominate. The left side is also in charge of carrying out logic and exact mathematical computations. When you need to retrieve a fact, your left brain pulls it from your memory. The right hemisphere is typically referred to as the creative area of the brain. It is mainly in charge of spatial abilities, face recognition and processing music. This side of the brain also helps us to comprehend visual imagery and make sense of what we see. It plays a role in language, particularly in interpreting context and a person's tone. Most people considered ambidextrous were originally left handed and learned to be ambidextrous, either deliberately or in school, or jobs where right-handed habits are often emphasized or required. Since many everyday devices (such as can openers and scissors) are asymmetrical and designed for right-handed people, many left-handlers learn to use them right-handedly due to the rarity or lack of left-handed models. Does this mean that writers…born ambidextrous…or have learned to be over time…utilize more of their brains and are more creative? What do you think? Hi DL - I've no idea .. but I do know two uncles who were made to be right-handed ... when they had some minor illness that couldn't be cured when they were frailer in life - were told to use their left hands .. and they were cured. Strange - but obviously our brains don't like to be readjusted. I can't process music very well - the other attributes I'd say I was fine at - I just get on and live .. but I always remember the stories about my uncles - different parts of the family. I find writing with my 'other' hand is a great way to break writers block. I am not ambidextrous, so the effort of making the words legible freed up my subconscious to be creative. My son is ambidextrous - when he was trying to sort out his left and rights when he was very young, his gran asked "What hand do you write with?" His answer: "Both!" LOL, this is too much for either my left or right brain to figure out. I do most things with my right hand, but a few with my left. Have no idea why. I think we creative types have to access a different part of our brain, so in that respect, yes. But it's also hard for us to do everything "by the book" in the business world, so ... maybe not. I guess it depends! Interesting topic. I'm with Karen with this being way over my head. How neat it would be to be ambidextrous, though. Good question. I know I can't do many thing with my left hand although I can switch back and forth in my head between logic and emotion. Do we use more of our brain? I think so. The creativity comes from the right and the skill comes from the left. My youngest son is ambidextrous. I spent ages trying to figure out why he never seemed to hold his fork in the same hand when he was a toddler. Now I get it. If you want to train yourself to be better with your non-dominant hand, practice brushing your teeth with it. It's SO hard! Interesting post! I'm not ambidextrous, though. Not even close. Wow. I'm right handed. The only way I'm ambidextrous is when I'm typing :o) I need to use both hands for that! Interesting post. Interesting. I've only known one truly ambidextrous person. He could everything with either hand including writing, throwing a ball and everything else. Some times people think people are cross dominate because they throw left and bat right. But batting and swinging a golf club had to do with eye dominance. The brain is so intriguing. One more of life's mystifying questions. Good post. A great post and subject. My youngest threw a baseball with his right hand and batted left handed. He is gifted in Math and Music. This subject has always interested me. Best to you and your challenge! Can't say I've known truly ambidextrous people, just those like you've mentioned who've adjusted to right handed things while naturally being left-handed. But then I know there's issues of dominance too - cuz I know I'm right-handed but left dominant, meaning the left side of my body is stronger. Usually they're the same. I have no idea if that's related to brain use though. It could just be developmental. I'm right handed but I've often tried to write and draw with my left. Fail. Interesting thoughts. I'm ambidextrous, but only because my parents were older ( Old enough to be my grandparents) and my mother was horrified when I proved to be a 'south paw', so she forced me to use my right hand. Now, I can use either. Maybe this is why I'm so dazed and confused most of the time. Anyway, all of that to say that right and left brain dominance is an interesting topic and the ideal is some sort of harmony between the two, achievable using methods available ... eg meditation, music, art.